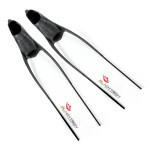 High quality translucent hand crafted fiberglass blades from BlackTech. Completely clear without imperfections, specifically designed for spearfishing in shallow water - where excellent camuflage is essential and ideal for freediving to depths of up to 30 m / 100 feet. 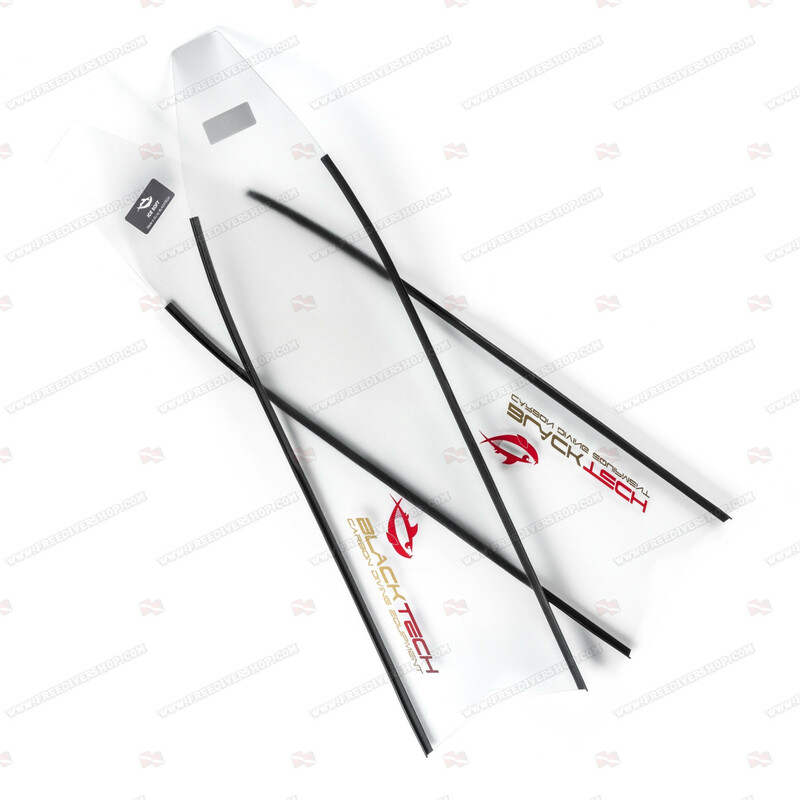 BlackTech Variable width blades are made using the latest laser technology from high tensile fiberglass material for reduced noise during fining. Supplied with a 1 years warranty for materials and craftsmanship. 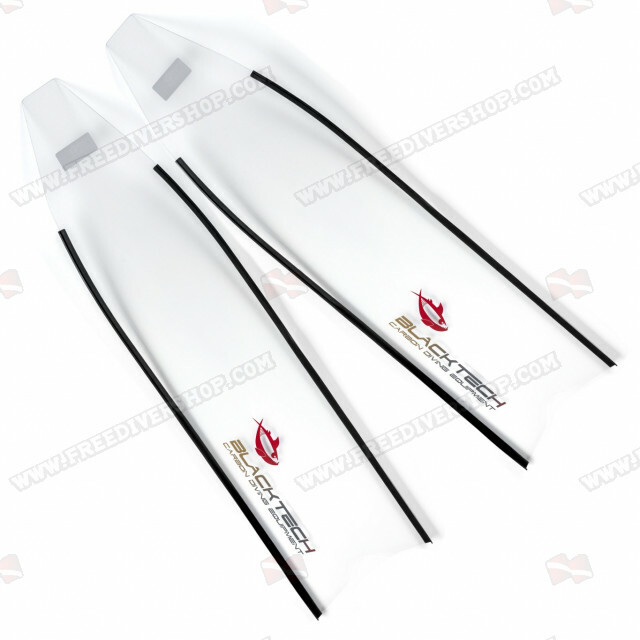 High quality translucent hand crafted fiberglass blades from BlackTech. 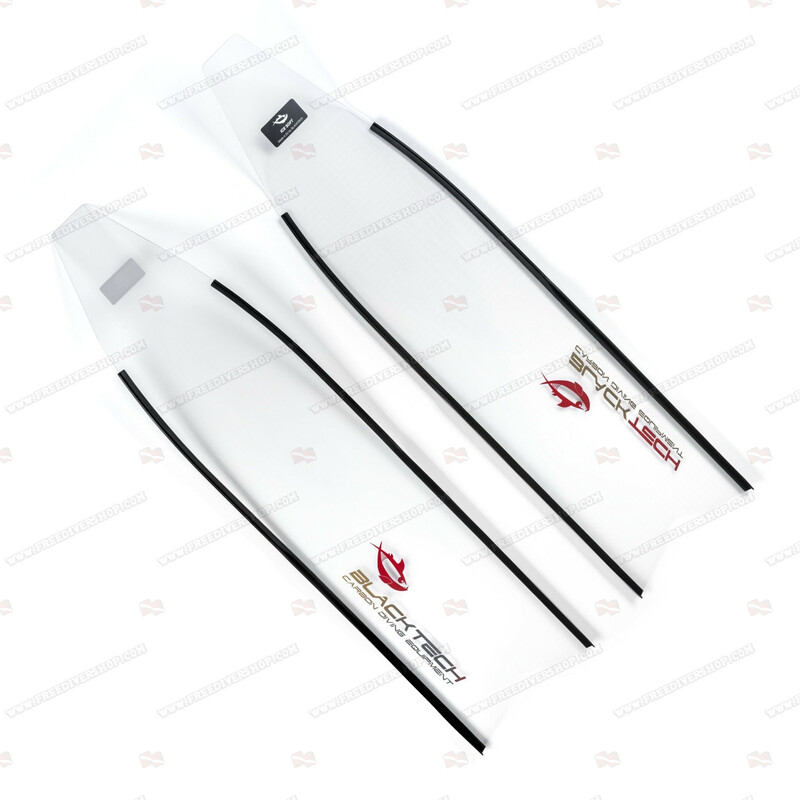 Completely clear without imperfections, specifically designed for spearfishing in shallow water - where excellent camuflage is essential and ideal for freediving to depths of up to 30 m / 100 feet. 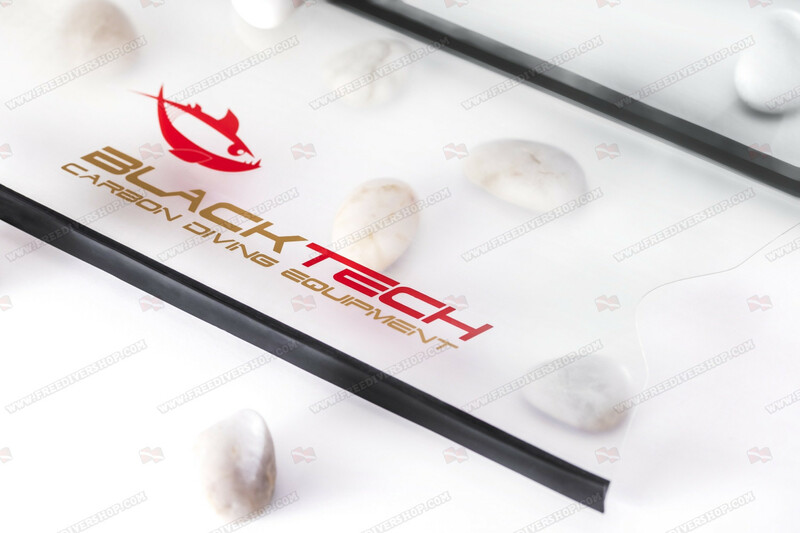 BlackTech Variable width blades are made using the latest laser technology from high tensile fiberglass material for reduced noise during fining. BlackTech blades should be glued with the footpockets and not drilled in order to avoid compromising their structural integrity (drilling will void manufacturer warranty).